Games That Weren't have completed the hatrick of Ash & Dave cartoon licences which were scrapped or lost in the early 1990s. 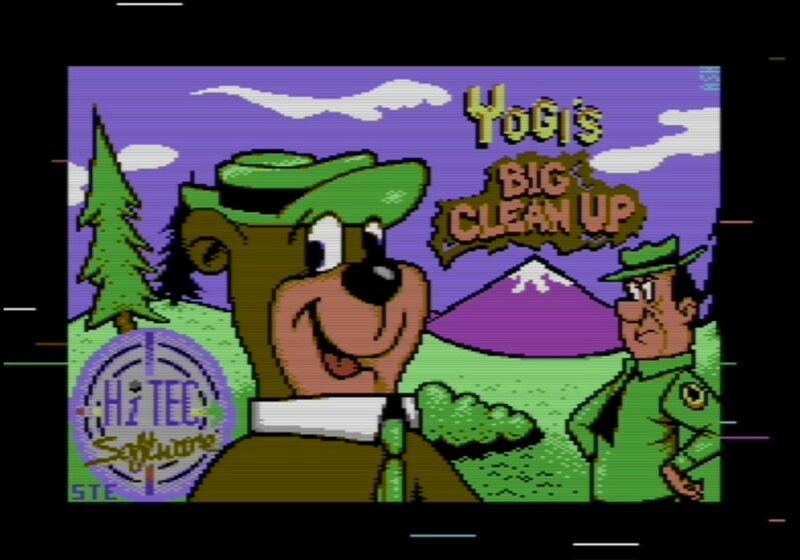 Yogi's Big Clean Up has been recovered and completed and is available now at Games That Weren't. The game was victim to Hi-Tec Software's demise as 8 bit software houses either transitioned to 16 bit computers and consoles or fell by the wayside. 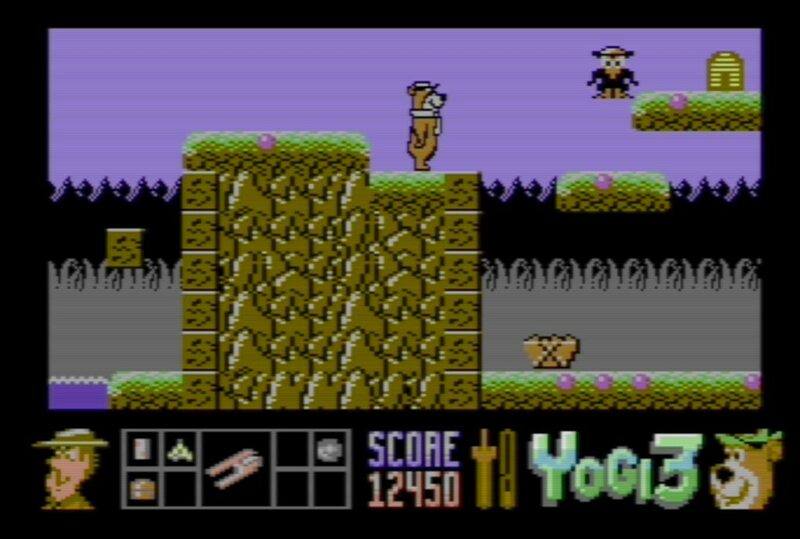 Incomplete and without even a soundtrack or a way to transition levels, this game was doomed... Until Martin Pugh picked the source code and spent the last year producing this fully playable Yogi platform adventure. 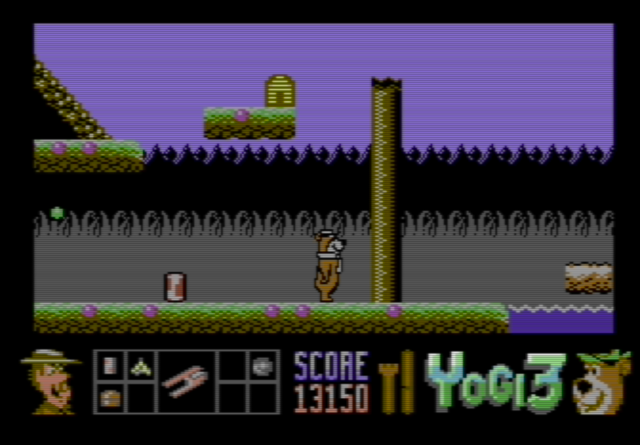 The graphics are crisp, and colourful, with a large and well animated Yogi sprite, and parallax backgrounds. And controls are pretty good, a marked improvement over Yogi's Great Escape and the sequal. Games That Weren't have done a great job completing the level, and while small bugs remain, the action adventure's shine and polish shines through. Take a trip to Jellystone Park and check it out.